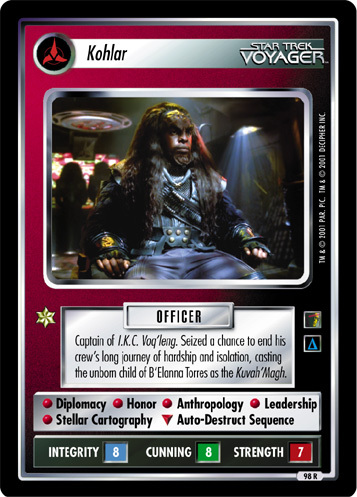 Tactical officer of I.K.C. Voq'leng. Devout believer in the prophecies of the Sacred Scrolls. Banded with T'Greth in an attempt to commandeer U.S.S. Voyager. 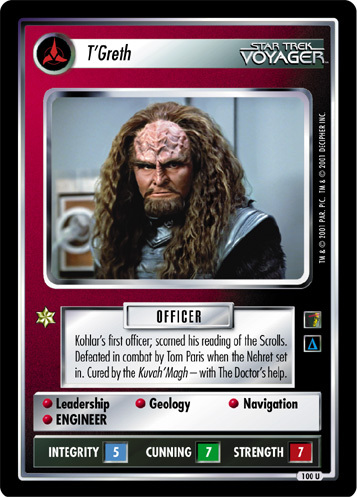 • Transporter Skill • Astrophysics • Physics • If on I.K.C. 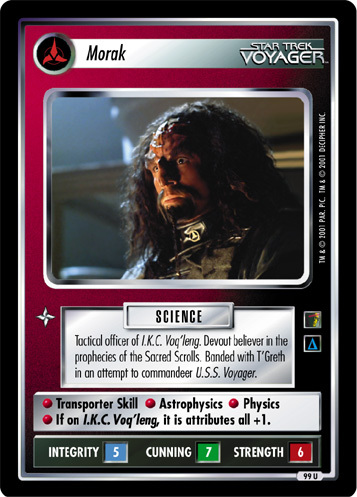 Voq'leng, it is attributes all +1.